We all know the term, RINO, or “Republican In Name Only”. We all know the term, and many of us have used it to insult those we felt were not “conservative enough” for the republican Party. I have used it in the past for this very reason. 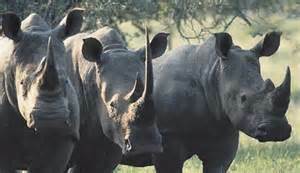 I have also been called a RINO, because I have dared to speak the truth on issues, rather than to simply repeat the accepted rhetoric of those who feel they are the arbiters of conservatism. In the past the term RINO was used to describe a Republican that tended towards the middle of the political spectrum, RINO was a more derogatory way of describing a moderate. It was also interchangeable with “establishment”, to describe those in positions of power within the GOP. It was used much in the same way that racist will use the “N” word. But let us think about the acronym in its purist form, after all, purity is the goal for so many of those who have thrown this name around so freely. “Republican In Name Only”. Here in Delaware, back in 2010, there was quite a few people within the GOP that got labeled RINOs, because they held positions within the party, or were elected officials that did not meet the standards of others who felt out of power, that felt that the establishment was ignoring their views on important issues. They felt that the establishment RINOs were making all of the decision within, and for the GOP, and that the people were unable to have a voice within the GOP. I was one of those people who felt that way. Like many others I worked my way into the party through a low-level position within the Sussex GOP committee. Once I was inside I realized that I had a responsibility to not only the party, but the rank and file voters. I felt that it was not my position to make decisions for the voters about who would, or should be the candidates. I felt that my position within the party, was to support the party’s endorsed candidates, and the people’s choices following primaries. Something many of us old RINO haters felt was the cardinal sin, to not support the winner in a primary after the people had spoken. The last thing I wanted to do was to become that which I had fought so hard against. I did not want to be a RINO. 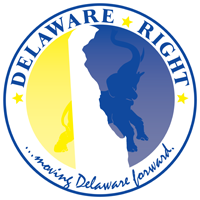 I wanted to be a Republican, I wanted to help get Republicans elected, I wanted to help the Republican party of Delaware to again be in a position to govern from a more conservative perspective. Unfortunately not everyone who got into positions within the party shared these views. Many seemed only to want to shrink the party to its purist form, to their ideals of what conservatism means. What they failed to realize, was that as they began their purges, they were becoming exactly what they had condemned. They had become the establishment. 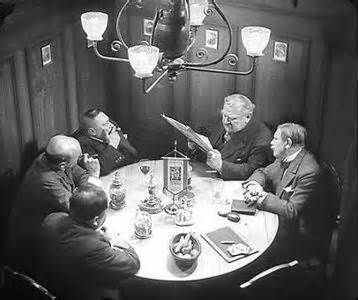 They began to feel as though they were better suited to make decisions about the direction of the party, than did the rank and file. They believe they are the arbiters of who will be the Republican candidates, and have even refused to support GOP endorsed candidates following primaries, all the while holding positions within the party. Are they talking about a broad spectrum of candidates to represent the many facets of the Republican Party? Or do they mean candidates that represent their small, narrow views on issues that are important to them, while ignoring the wishes of the rank and file? After all, they are the “leaders”, they are the “establishment”. They are the new “RINOs”! They once condemned the so-called establishment for their backroom deals, they were the “lords of the backroom”. They condemned the so-called Republican In Name Only for not listening, and not representing the people of the GOP. I contend that once they found themselves in the very same positions as those they had run out of the party, they became the New RINOs. This new group is not made up of moderates, it is a heterogeneous melding of libertarians, fascist, big government conservatives, militaristic fomenters of fear seeking to instigate unrest and discontent in all aspects of society. They will call themselves by varied agnomina, such as “patriot”, “TEA”, “oath keepers”, and others. They will hide behind, and use the infrastructure of the Republican Party, all the while disparaging the GOP and the decisions of the rank and file voters. Ignoring the will of the people, all the while mouthing the phrases of “Liberty”, and “We the People”. They are not Republicans, they are barely RINOs. Their brand of purist politics will doom the GOP more so, and faster than anything the Democrats have ever done. These New RINOs are mean-spirited, they are exclusionary, they seek to isolate the party, not grow the party. Whose values? These New RINOs do not represent my values, and they should not be allowed to be the arbiters of what it means to be a Republican. 13 Comments on "The New RINOs!" A round of applause for Frank. Will the new RINOs recognize themselves or are they so dishonest that they even lie to themselves? I think the latter.. I don’t understand this post. You speak of “they.” Who, specifically, are “they.” If you gave a few examples of who “they” are, maybe the post would make some sense. As it stands, it makes no sense at all. Meanwhile, how many Democrats hold elective office in Sussex? The answer to this question has absolutely nothing to do with the Sussex County Republican Party. In other words, you can’t name names. So perhaps it is just your imagination. The GOP “purists,” the evil puppet master Koch brothers, the TEA Party and conservatives in general succeeded in moving the party to the right, and in the ’14 mid-terms we saw the largest GOP electoral gains since the 1930’s. The number of seats now held by the GOP in state legislatures is astounding. If this is a “problem,” then I am glad to be a part of it. Perhaps you are focused more on local or state politics. Well, how many Socialist-Democrats hold office in Sussex? Not many. No problem there. At the state level, the GOP is pathetic. But why? Perhaps because of the endless succession of “moderates” who, at the end of the day, were little different from their Socialist-Democrat opponents. Under the pernicious trend of incrementalism, voters who were given a choice between a Democrat or a Democrat Lite finally settled on the former. It may well take decades to undo the damage wrought by the bankrupt philosophy of “cross-the-aisle” appeasement. And if the GOP “leadership” fails to properly digest the lesson of ’14, they’ll surely lose in ’16. The so-called “establishment,” the Chamber of Commerce cheap labor advocates and the Wall Street bankers are all throwing money at Bush. The problem is, Bush is unlikely to carry the Republican base, and thus, is unlikely win the presidency. Real conservatives will be working fervently, as they did in ’14, to assure the nomination of a fresh, conservative candidate. A candidate who is secure in his conservative beliefs and who doesn’t need to read ideological Cliff Notes from a TelePrompTer in an absurd effort to seem “genuine.” If the American people are given the choice between Democrat and Democrat Lite, they’ll choose the former- and the conservative base will stay home- just like 2012. I know this is a little off topic, but speaking of the Koch brothers. I know it’s their right, and they donate to good causes, but they need to lay low this coming election cycle. Basically they need to get off the political grid altogether this time around. Whatever good they can do for the Republican candidate, can’t make up for the bad press they draw. The media has successfully villainized the Koch brothers. Sad fact, but that is the case nonetheless. Were you out of the country in 2014? All we heard from the Socialist-Democrats was “Koch bothers” this and “Koch brothers” that. And what good did it do? They got annihilated. If the Socialist-Democrats want to run against someone who isn’t even on the ballot, let them. Nobody cares about the Koch brothers. More low information voters just itching to be mislead during Presidential elections. Why would we chance it? The money won’t make up for it. The mainstream media will make sure people hear about the Koch brothers every day during the election. Meanwhile they will barely mention George Soros, and as far as being out of the country…I haven’t been off the Delmarva Peninsula for probably ten years…. lol. I love Rick. He uses good Republican years to justify his opinions, and then uses bad Republican years to justify his opinions. And then he crucifies any losing Presidential candidate as not being conservative enough. Friggin’ genius. You’re a hall of fame troll, Rick. I’m bronzing you right now. Rick, anyone with an IQ above 40 realizes that the Republican gains in ’14 had nothing to do with hard-right conservatism. It was a traditional sixth-year election in which the party opposite the President made reasonable gains. It was not a policy affirmation. Except for, you know, the guy who won statewide for the first time in 20 years. Yeah, that guy. Simpler is the perfect Rick candidate. He won, so Rick will claim he’s a conservative. Had he lost, he would have been “chamber of commerce Republican lite.” TROLL HALL OF FAME! Again, it’s fairly easy for any Republican in a Republican area to win in a Republican year. Your phony “conservatives” had nothing to do with it. It wasn’t the far right that succeeded in ’14, regardless of your constant desire to claim credit for successes and shift blame for failures. Why would we chance it? Because low information voters always vote for the Democrats, anyway. For the GOP, the only thing that ever matters in a presidential election is that the candidate be able to carry the base. McCain couldn’t, Romney couldn’t. And if the GOP nominates another appeasing “moderate,” he won’t either. The strategy of appeasement, moderation and playing it safe always fails. The GOP must control the narrative, and that will take a strong conservative who has real principles and actually believes what he says. An honest, genuine politician with clearly-articulated positions rates a lot higher in the public’s eye than the sleazy “mainstream” press.